Fisher-Price Laugh & Learn Baby Grand Piano Just $33.99! Down From $90! 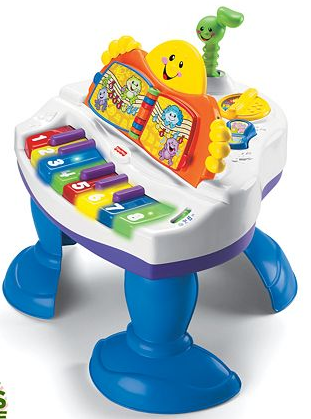 You are here: Home / Great Deals / Fisher-Price Laugh & Learn Baby Grand Piano Just $33.99! Down From $90! You can get the Fisher-Price Laugh & Learn Baby Grand Piano for just $33.99! With an interactive songbook, sing-along songs and more, this Fisher-Price Baby Grand Piano will strike a chord with your little musician. This same item sells for $63.99 on Amazon!